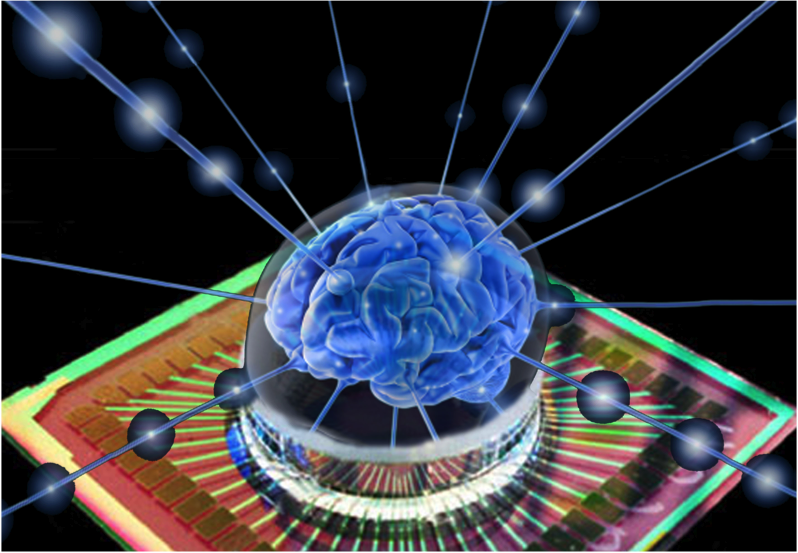 The “In Vitro Artificial Intelligence club” (IVAI), is a think tank hosted in the doctoral school “au Frontieres du Vivants” at the “Centre de Recherche Interdisciplinaire” in Hopithal Cochin (Paris). The main activity of this student think tank is to develop the thematic of reverse neuro-engineering. To do so we monthly organized bibliographic review meeting in four main thematics (Neuroscience, computer science, Human Medicine and in vitro culture) as well as seminars with invited guest (such as Miguel Nicolelis or Elisha Moses). Our objective is to define the minimal (experimental) constrains necessary to mimic (as far as possible) neuronal development of an animal’s brain inside a culture and learning processes associated to it. It is to be noticed that in aggreement with the lab of Jean-Louis Viovy (Macromolecules and Microsystem in Biology and Medicine) at the Institut Curie, Paris, preliminary experiments were perform by Renault Renauld (FdV Master Student) leaded by Maeva Vignes (PhD student in FdV’s programm). IVAI think tank was gratefull to see motivated people performing experiments inspired by our thematics and that will provide bases for further developments. The ongoing goals for our club is to continue its monthly meeting discussing scientific articles whithin or outside our thematics. (This dynamics is strongly foster with the merging of IVAI within the Fabelier Hackerspace). We’ll also write in the coming month a review overviewing our four last years of studying the question: “how far is it possible to reproduce a learning brain in a culture”. Finally we propose to EU comission a potential project to experimentally assess our question in the coming future. The main objective of this project is to foster collective development of the technologies supporting oncoming biological artificial intelligent entity. The long term objective is to develop new research paradigms by connecting two adjacent fields with a simple experiment. To do so here is proposed an experimental platform dedicated to the public as well as technological developments for the next step of autonomous biological artificial intelligence. A small culture lab can today sustain neuronal cultures living months or even years. They can be used for electrical (and optical) stimulation and recordings. We propose to create an open platform hosting such cultures in order to give access to the public to cultures of neurons. We aim to provide worldwide access to the culture via Internet connection through games for broader creativity in this complex field of neuron-computer interactions. Indeed interacting with single neurons is easily done by different techniques. Interacting with a population of neuron is much more difficult. Creating such platform will enhance the public involvement and foster creativity, as it has been already done in molecular biology. An other aspect of the project is to push further this experimental paradigm by monitoring physiological reward and punishment in a neuronal culture. The Ventrary Tegmental areas in mammalian brain innervates the all pre-frontal cortex of the animals. It is believed to be the main pathway in behavior related learning. To mimic this path we propose simple developments of existing techniques. Microfluidics compartment built onto micro-electrodes array should allow to culture dopaminergic cell body within a compartment preserving innervation to the rest of the culture. This should mimics this physiological innervation that is related in vivo to reward associated learning. The achievement of such experiments would make one more step towards In Vitro Artificial Intelligence.